Time has flown by and the 10th day of the 2018 Hockey World Cup is already here. Drama continues at the Kalinga stadium in Bhubaneshwar as Pool B teams get ready to play their 3rd round of matches. Australia will be squaring off with China in their final Pool B fixture. 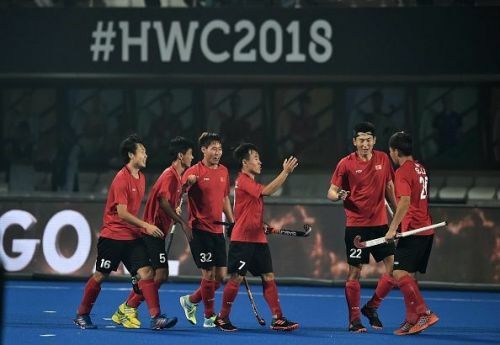 The Chinese team -- who are ranked 17th as per FIH -- get ready to face their most difficult challenge yet. The World Cup debutants have been really impressive so far and have been the surprise package of the tournament. In their first encounter, Kim Sang-Ryul's troops went up against a strong English side and the match ended in a 2-2 draw. They have been unfazed even if the opponent is much higher ranked and played with a lot of character and purpose. Du Talake rescued China in the game by scoring in the 59th minute via a Penalty corner and helped his team rescue a point. The Red shirts managed to get another point as they drew 1-1 against Ireland. However, the Irish players were better on the day and would be disappointed to have not capitalized on the opportunities they created in the match. Guo Xiaoping of China scored a fantastic first goal for China in the match against England and he will be the match the man to watch out for Australia. The 25-year-old made a beautiful run and went past 4 English defenders and finished it off superbly as well. It is one of the best solo efforts in the World Cup so far. Goalkeeper Wang Caiyu also had a terrific match against Ireland and would look to continue his good form against Australia. World Number 1's Australia had to fight hard for their 2-1 victory over Ireland in the first match. The statistics were all in their favour and the Aussies had a whopping 28 circle penetrations and 16 shots on goal. The scoreline, however, did not do justice to this which implies they had a poor conversion rate. The Kookaburras were then up against World No.7, England. The match was neck and neck in the first half. However, Australia really stepped hard on the pedal in the 3rd quarter and consistently pressed the English players. 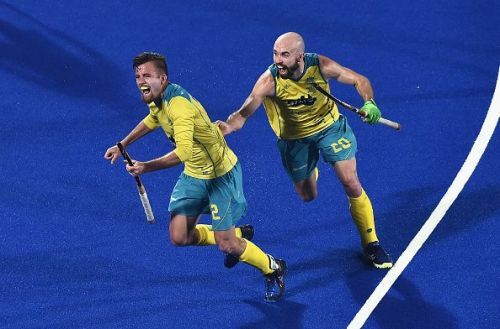 Their efforts finally paid off in the 4th quarter and Australia's Jake Whetton finally broke the deadlock in the 47th minute. After this goal, it was all too easy for the defending World Champions as Blake Govers doubled the lead in the 50th minute and Corey Weyer finished things off by scoring the 3rd goal in the 56th minute. Australia's Goalkeeper Tyler Lovell also did well between the sticks. Young forward Timothy Brand is the pick of the players in the Australian line-up. The 20-year-old has been really impressive in both the matches and looks threatening. Matthew Swann, who has always been at the heart of the Kookaburras' attacking build ups will again play a crucial role in the team. Colin Batch and his troops will be brimming with confidence after the emphatic win against England and are expected to make it 3 wins in 3 to enter the quarterfinals in style. Du Chen-led China, on the other hand, will be fearless against Australia and will hope that the result of the Ireland and England match turns in their favour.